Stilled Lives. Photograph by John Gollings. 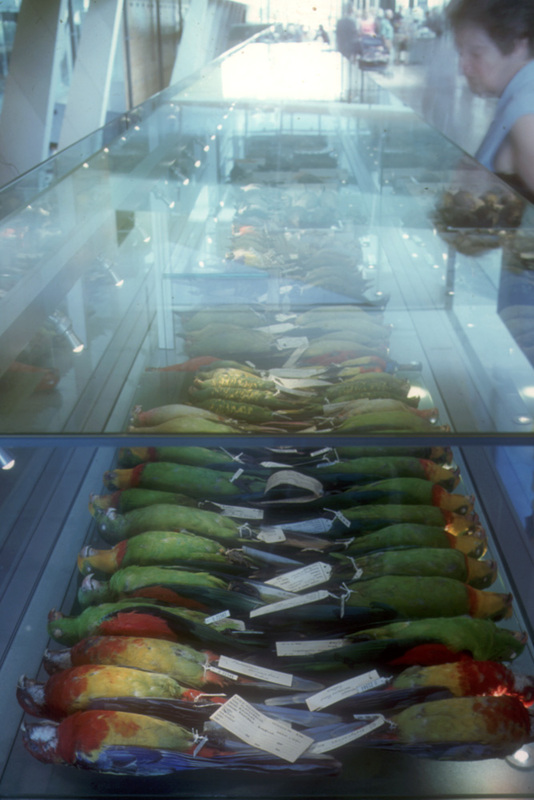 materials_ Glass showcases displaying selected specimens and objects from the collections of Museum Victoria. 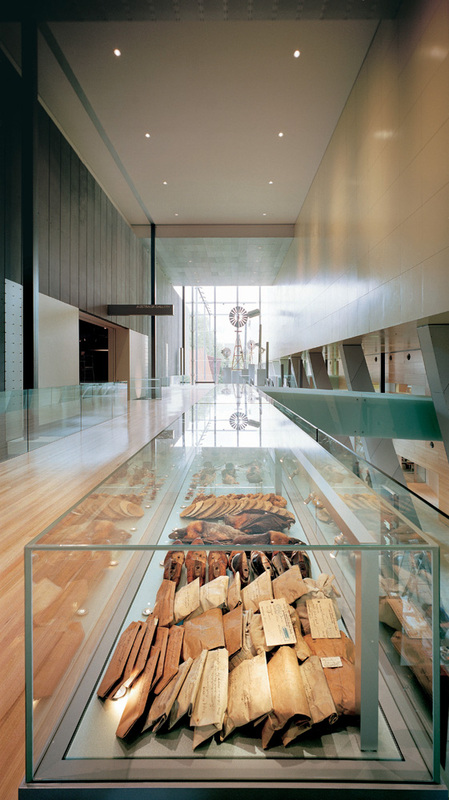 The collection of the Museum of Victoria is an overwhelming vast horizontal and vertical world of objects. 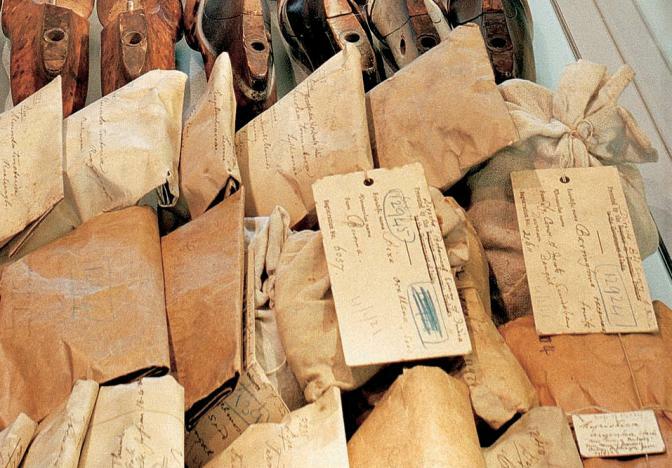 Collected, classified, archived, arranged, ordered, labelled and re-labelled, they are preserved, conserved, analyzed, researched, valued and re-valued. The galleria showcases create a fissure or seam, through which the collection has leaked and escaped from their adjacent storage. 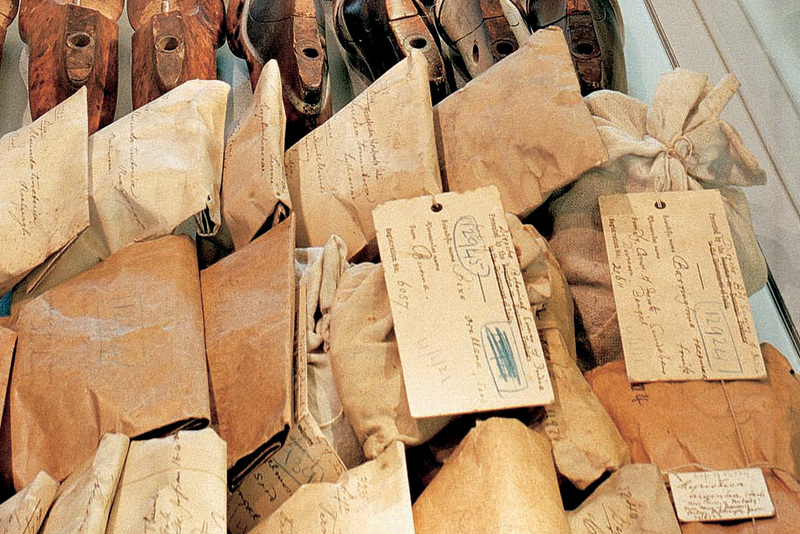 The objects are selected, not on museological principles but by attraction and empathy, through a reverence for each distinctive piece, whilst wanting to represent the larger mass of the collection. I wanted to create a cosmos, a constellation, a panoramic work of great diversity, referencing the past while transforming it into a contemporary present. I am drawing connections across cultural and natural objects in order to convey a sense of these complex relationships, whilst enabling the viewer their own interpretations of each separate object. These evocative objects “live” – dislocated and abstracted from their past histories, lives and functions in the world – yet are stilled in time. They offer themselves for our investigation, our wonder and our continued understanding of the material world and our place in it. What we preserve for the future reflects what we value. It informs and sustains our perceptions of ourselves and the world in which we live.